is clear cello crystal clear? Trying to convince your family members to come to the Phantom of the Opera when they don’t want to go whatsoever? Give them this envelope with a coupon to their favorite restaurant and they may agree. If not, use this envelope to clearly state that they are coming whether they like it or not. Just put in the tickets and they will get the hint even before opening it! Or you could turn into the Phantom and trick them into seeing it. Use this envelope and put fake concert tickets in there, and conceal the opera tickets in one of JAM’s other envelopes so that they cannot see what’s inside! So many possibilities with this phantom envelope! 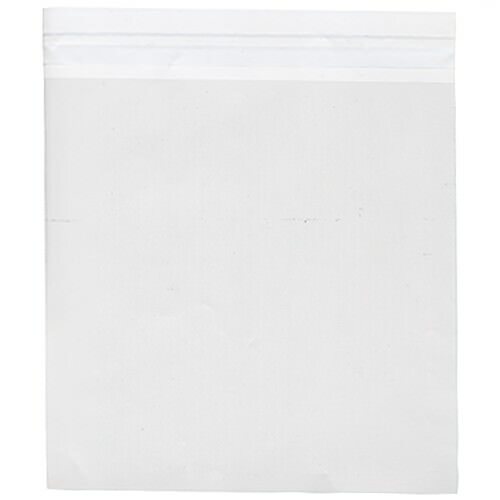 Clear 8 5/8 x 8 5/8 Square Envelopes are crystal clear with self adhesive closure. Perfect for your 8.5x8.5 square envelopes.